We offer top quality 2003-2008 Honda Pilot Rear Camber Control Arms at unbeatable prices you won't find anywhere else! Brand New 2003-2008 Honda Pilot Rear Camber Control Arms. 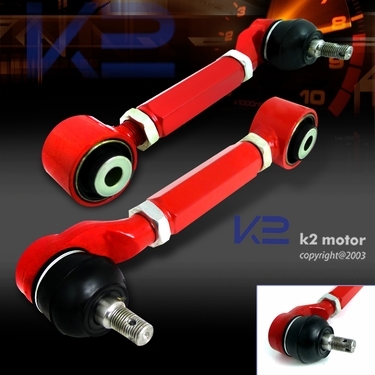 These adjustable control arms are great replacement for your factory upper control arms. Give you the added adjust ability, precision and range when fine-tuning your suspension, making the handling increasingly crisp and predictable. These will accurately dial in your suspension setting. It may require wheel alignment after installation. Professional installation recommended, no installation instruction provided.